No plot spoilers will be revealed in this review, but commentary on the ending’s tone will be given, each time pre-empted by a spoiler warning. Enemy is a film full of chaos, posing questions rather than delivering answers. While the tone and mood of the film are tensely atmospheric and psychologically thrilling, the meaning remains undeciphered for many of its audience. Imagery of spiders and webs are prominent throughout, allowing the audience to create their own metaphors and analyses, without ever being spoon-fed clarity. 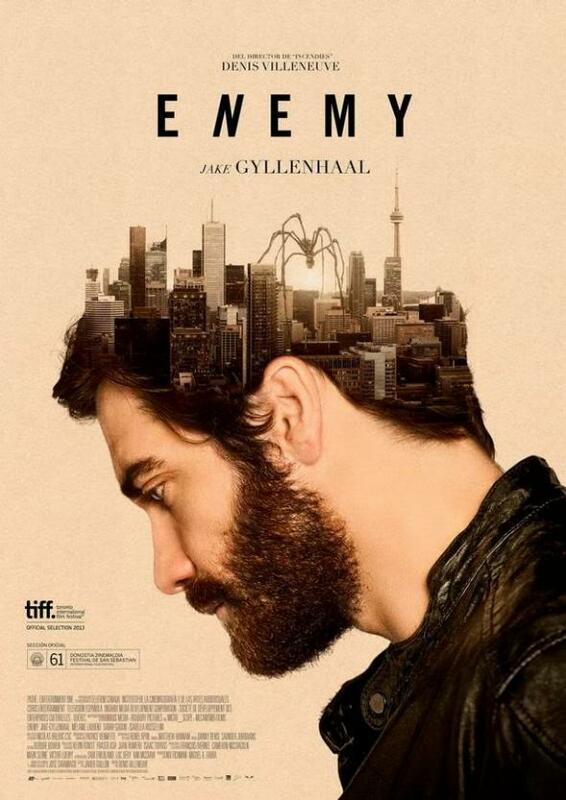 Enemy sees director Denis Villeneuve and actor Jake Gyllenhaal team up again after their last bleak effort of Prisoners. Filmed before Prisoners but released afterwards, Enemy sees Gyllenhaal take on the roles of two characters – straight-laced professor Adam and bit part actor Anthony – both look exactly the same! Vagueness is crucial to this review as to reveal any more would ruin the film’s masterful execution of tension building. Tonally suspenseful, plot nonsensical, this film is a brilliant mood piece until the end spoiler when the scariest thing I have ever seen on screen happens. A darkly tense thriller set in Toronto, this film is gripping from start to finish, even when the unraveling of the mystery gets spun tighter into its web of confusion. It is a puzzle, it is an enigma, nothing is what it seems, but that is what makes it work so well spoiler until that final scene where disoriented shock leaves the viewer’s appetite unsatiated. After the abrupt ending, I not only felt unfulfilled, but I felt as though perhaps I’d wasted my time invested in the story of a film where plot was not necessarily of any relevance. Having now had time to digest it properly, I’ve decided that my initial instinct was wrong and Enemy is not at all a time waster, but a surrealist exploration of existentialism, cloaked by mystery and mood. It is distressing to watch, gripping until the end, and mind-blowing in its finale, for better or for worse. 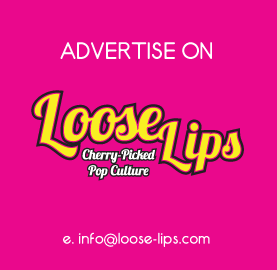 This entry was posted on Tuesday, December 23rd, 2014 at 1:23 pm	and is filed under Features, Film, Review.